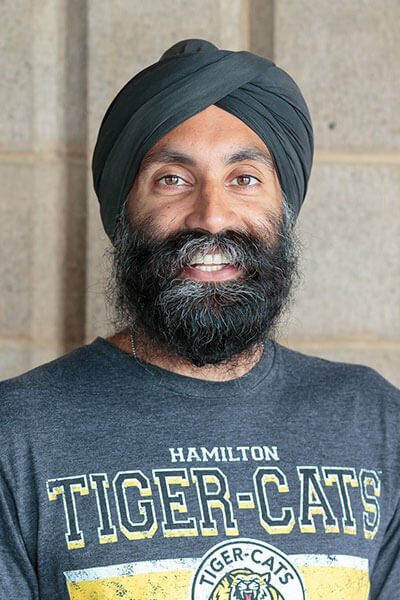 Gurpreet is a proud Hamiltonian who walked to all his schools including McMaster University, where he graduated with a Bachelor of Kinesiology. Part of his undergraduate degree included Outdoor Education and Adventure-Based Learning courses, which would eventually lead him to pursue a teaching degree. Gurpreet’s adventures in education continued in Melbourne, Australia where he gained his formal teaching (Primary/Junior) credentials at LaTrobe University, all the whilst exploring all that the Australian outdoors has to offer with regards to hiking and diving (including the Great Barrier Reef). Gurpreet has been certified with the Ontario College of Teachers since 2005 and has taught a variety of grades and subjects in both public and private school classrooms across Canada and internationally. His highlights include teaching English to Tibetan monks in North India, facilitating Upper Canada College’s grade 9 Outdoor Education culminating expeditionary program, teaching various climbing and high ropes classes from Milton, ON to Mission, BC, and starting a Storytime with Soldiers program in Norman Wells, NWT. Gurpreet also instructs first aid and continues to serve as a medic, currently in the role of Platoon Warrant with 25 (Toronto) Field Ambulance in the Canadian Armed Forces. As an advocate for lifelong learning and service before self, Gurpreet enjoys volunteering with St. John Ambulance, and at various sports, arts, and cultural events. He rounds out any of his remaining time by running, canoeing, camping, watching too many movies, and discovering new foodie experiences on his many travels.